Today we’re sending messages of solidarity to the blockade at the SUNCOR refinery in Montreal, Quebec that took place yesterday, to the Banc Expropiat squat under threat of eviction in Barcelona, Spain, and to the resistance against the gold mine in Skouries, Greece. We had to suffer massive repression, especially this time: the raid on the meadow occupation and two other projects, confiscation of all our electronic devices, hand-written journals as well as private stuff. 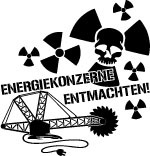 This proves one thing: Our direct protest against the exploitation and the destruction of nature by RWE is effective. We will show that we’re not afraid and we will not give up! As announced before, there will be a Re-Occupation at Day X+4 (the saturday 4 weeks after the eviction). The 26th of April isn’t just a day like another. This very day exactly 28 years ago the nuclear catastrophe in Chernobyl took place. 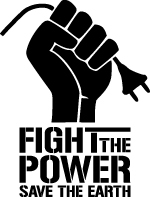 We cannot seperate the struggles against Coal and Nuclear Power. It’s not enough to shut down nuclear power plants and substitute this by burning coal; as well as it’s not acceptable to stop mining and burning coal for the creation of nuclear energy. 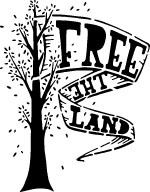 It’s a common resistance against the destruction of nature and the idea of ongoing growth in disregard of the results. It’s a criticism of capitalist thinking, which just divides in resources and capital. We cannot wait until the next big catastrophe opens the eyes of people. Something has to change NOW! 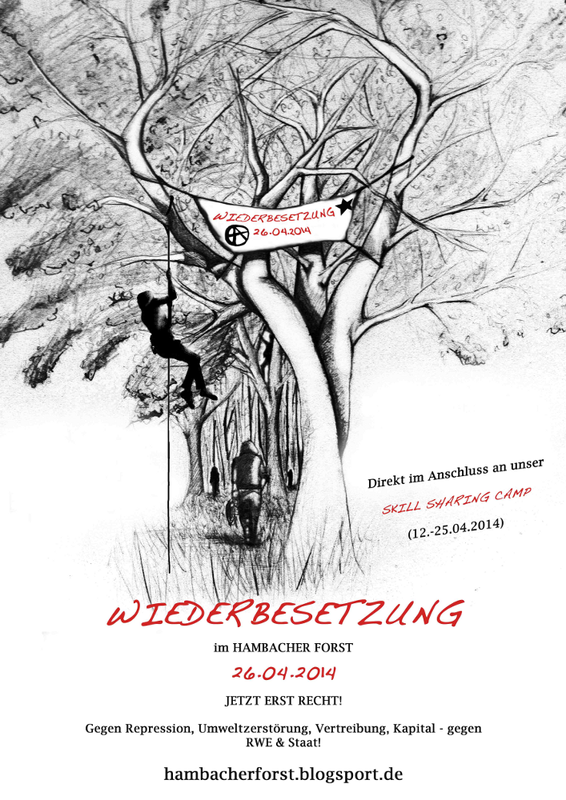 So we will re-occupy the Hambach Forest on April the 26th, massively and determined! On this day, a demonstration will start at 2 pm at the train station in Buir. If you are motivated to take part in the organization, you can visit the “Build Resistance Skill Sharing Camp”, which takes place from April 12th to 25th on the occupied meadow. There an open organization meeting for the day of the Re-occupation is going to take place: on Sunday, 13th April, at 12am. 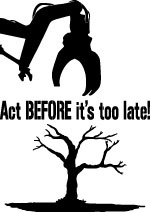 Spread the word, help with the organization, occupy the trees or support on the ground. 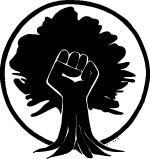 Your solidarity is stronger than all repression! 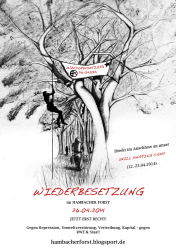 For more information write to hambacherforst@nullriseup.net, or follow our blog: hambacherforst.blogsport.de. 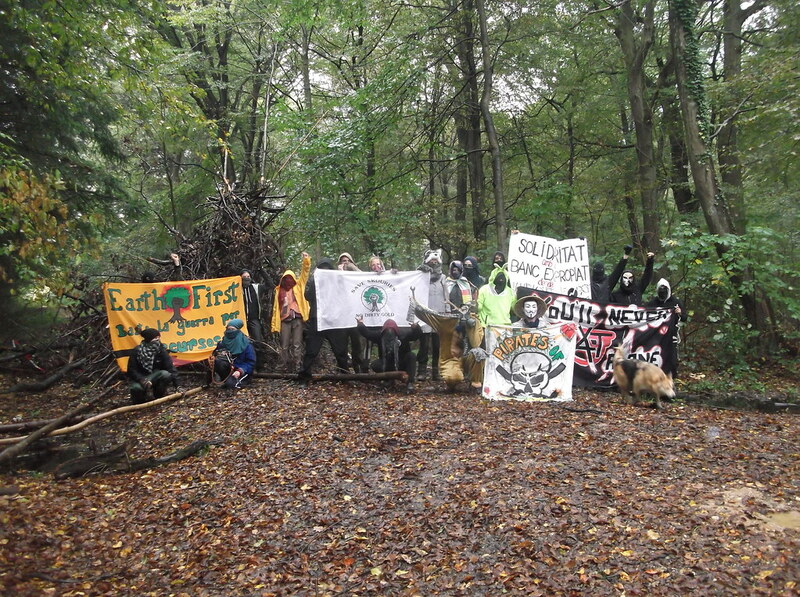 Together, we stop RWE and the open cast pit! You can find flyers and posters for self-print hier. 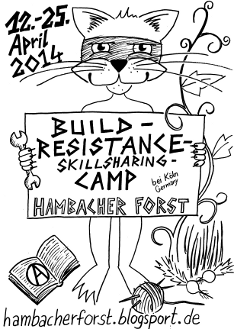 This April there will be a skill sharing for two weeks on the occupation of the Hambacher Forst/ Hambach Forest. We want to let grow a big diversity of different theoretical and practical workshops, discussions, presentations,actions and so on. Everybody is invited to participate, to bring in own ideas, to share some skills, to offer workshops, to present something or to express her_his displeasure about the destruction of nature and oppression in creative way. The camp has a emancipatory demand. It shall give us the possibility to share experiences, to connect, to learn together and also from each other and hopefully to come a step closer to a world without dominance: A world in which we take the responsibility for ourselves and our behavior and actions, in which we don’t take orders nobody and in which we can’t command nobody neither, a world in which we live together without any kind of discrimination, in free agreements and mutual aid, trying to self-organize and self-subsist ourselves. If possible please take with you a tent, a sleeping bag, a sleeping pad and wind- and rain-proofed clothes because we have only a limited number of sleeping places. Also it would be nice, if you could contribute with some food (maybe go dumpster-diving some days before). But this is not a must!